A few years ago I ran across the trend of turning cheap animal toys into ornaments. All that you needed was some paint (preferably spray paint) and some small eye hooks. 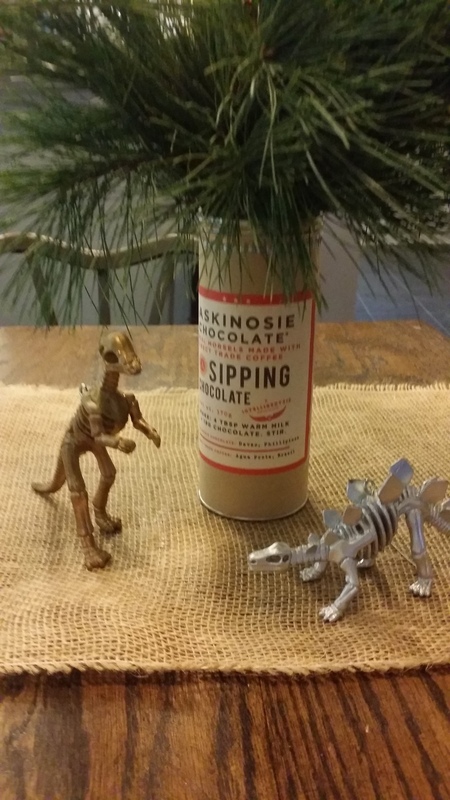 I, of course, had to level-up this idea thanks to my discovery of "Dinosaur Fossil Skeleton Toys" on Amazon. Now, the plastic is much harder to screw eye hooks into than regular plastic animal toys, but the extra elbow grease is worth it. 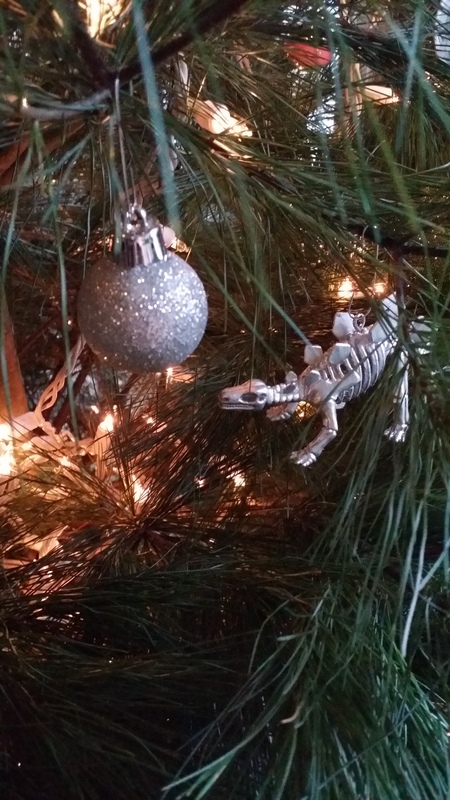 These charming and odd creatures have held their place on our Christmas tree for three years running.